Students at Horizon Christian Academy Love My Books! 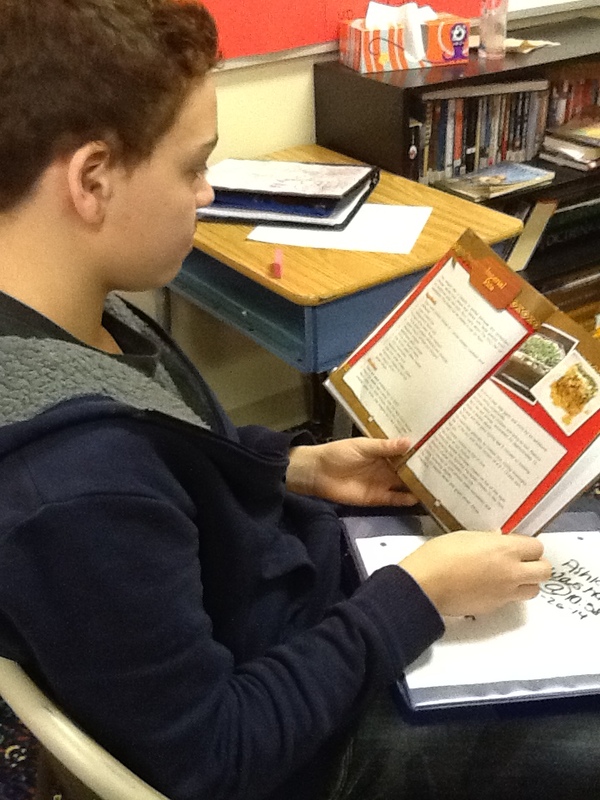 This student is reading Now You’re Cooking: Cuba published by Purple Toad. Recently I had the opportunity to do a book talk at Horizon Christian Academy in Fort Wayne IN. My daughter teaches there and it was great fun seeing her interact with her students. she allowed me to take some of each class period to talk to students in grades 5-12 about my books, the process of writing and the importance of reading to be successful in life. 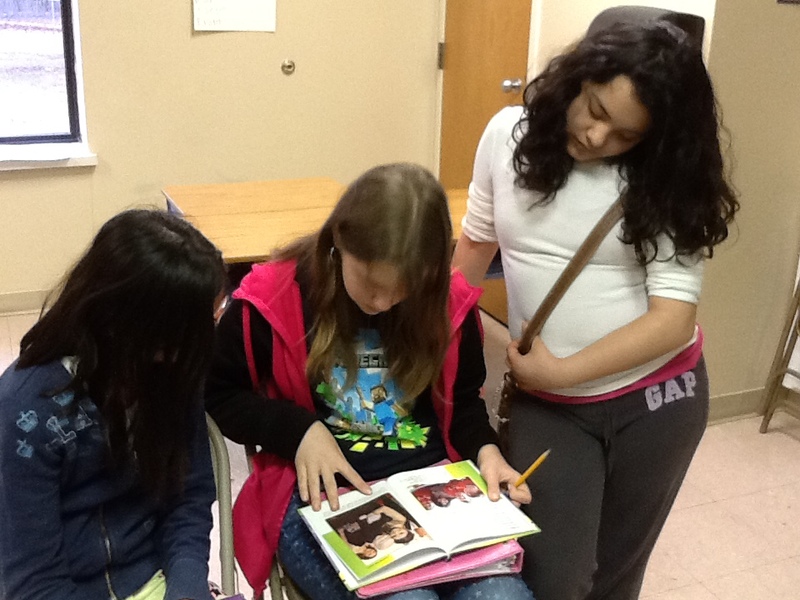 Students enjoyed looking through my books. I didn’t ask but I believe it could have been their first experience meeting an author. I told them that although its exciting to have stories in 5 Chicken Soup books, my name is not on the cover. With the children’s books my name is on the cover. I’m proud of those books and hope children like them too. As a public middle school librarian, I also read chapter books to know what titles and subjects are available to students. I’m currently reading Christina Diaz Gonzalez’s book, The Red Umbrella. It is a novel about the evacuation of children from Cuba during the revolution there in the 1960s. I love it and will recommend it to students at my school. What is your favorite children’s book past or present? Do you prefer picture books to chapter books? Why? Do you look for miracles in life?